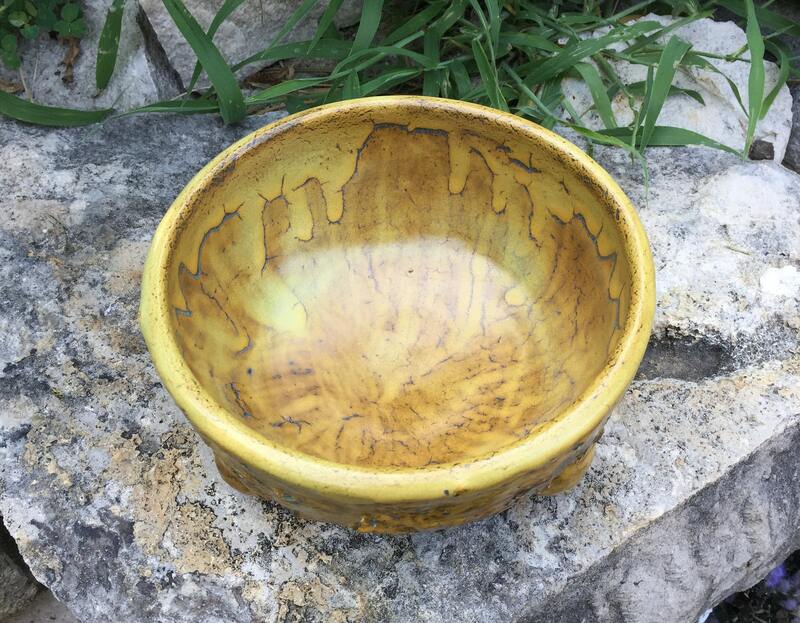 Here's a single medium sized bowl from a new batch of work utilizing a lot of texture and carving. 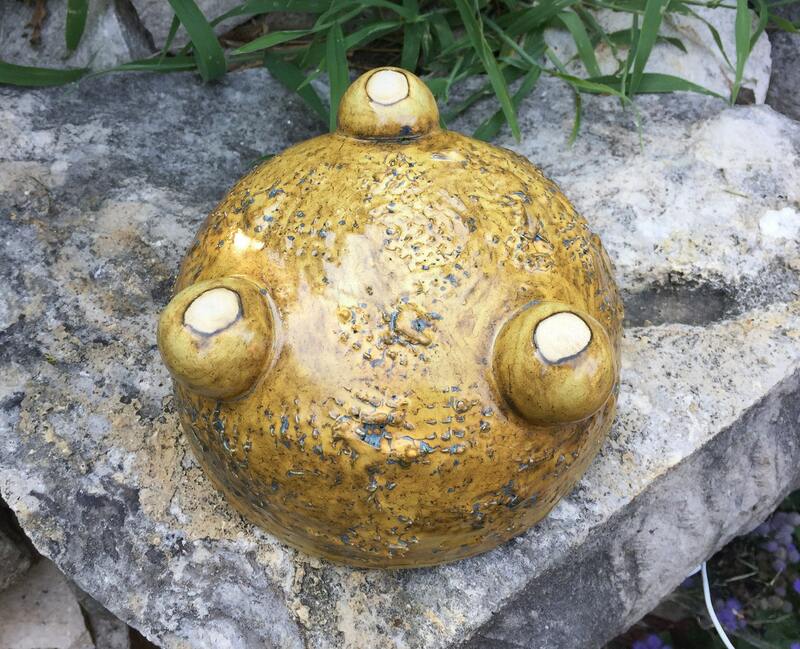 This one has a lot of texture but still some visible signs of the structure/pattern motif. 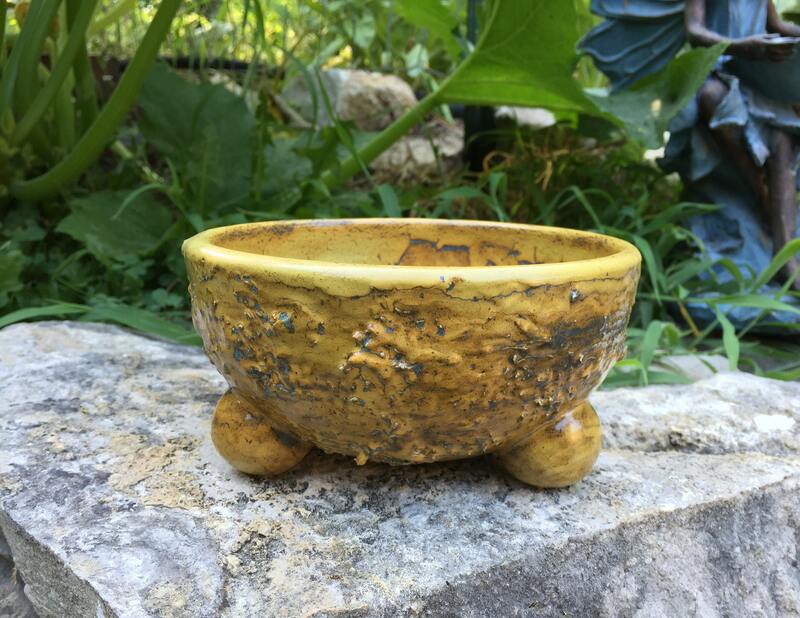 This is a wheel thrown bowl with a lightly textured/carved structure/building motif exterior, and a ball tripod foot. 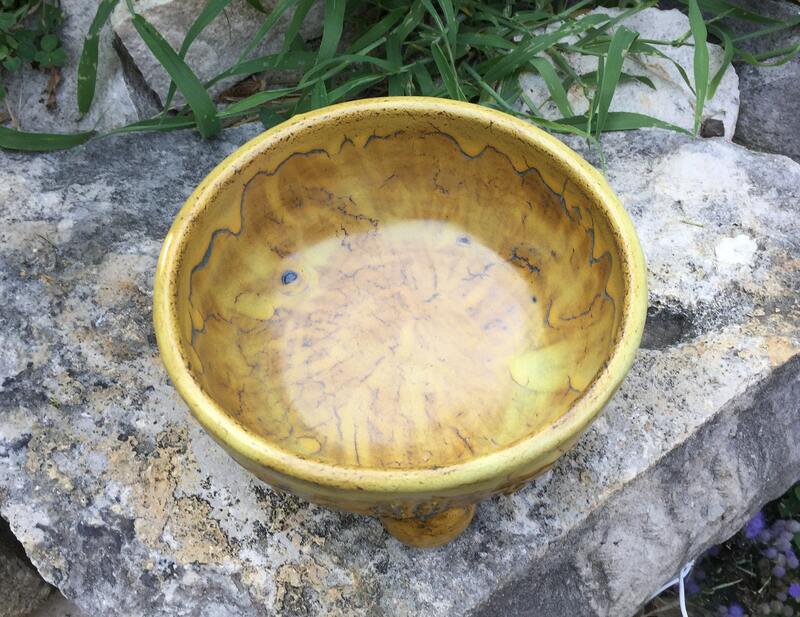 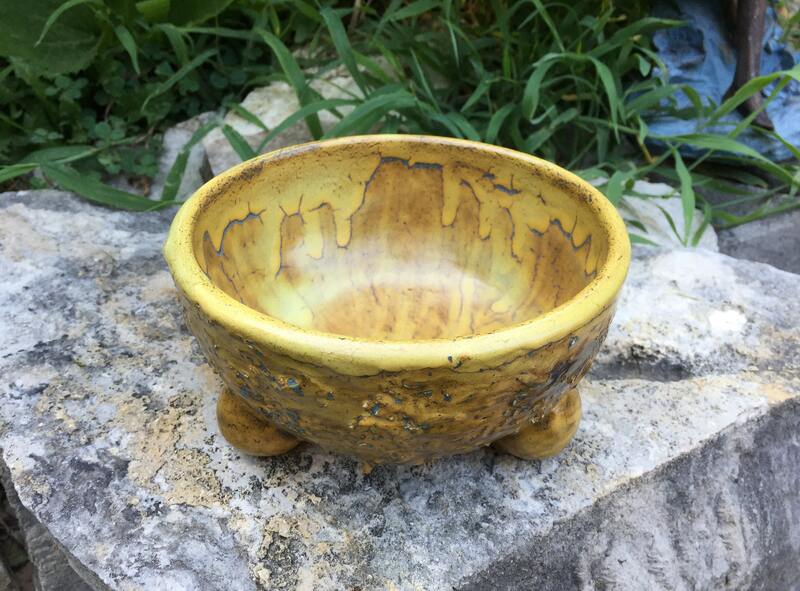 Signed and dated, glazed in a satin yellow ochre glaze with blue speckles and effects both inside and out, and electric fired to a nice sunny day of 2200 degrees Fahrenheit. 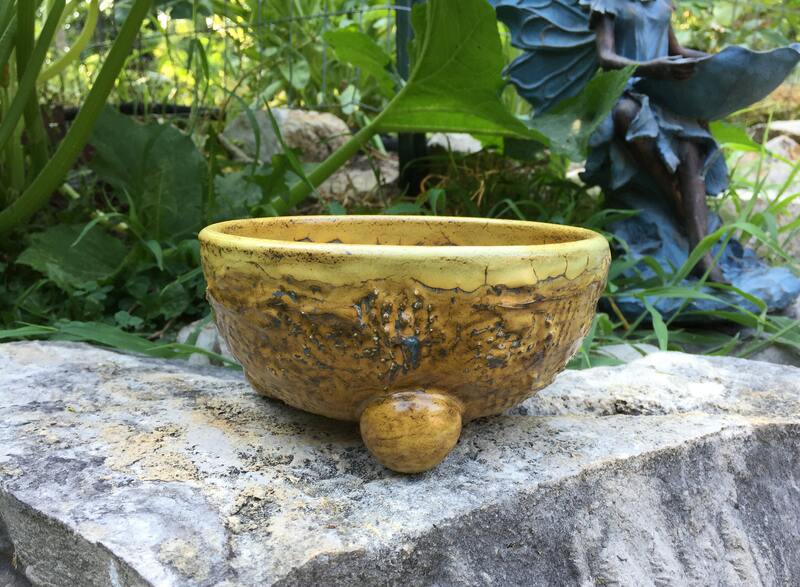 The bowl measures approximately 2.75 inches tall and 5.75 inches wide, and has a capacity of about 2.5 cups.